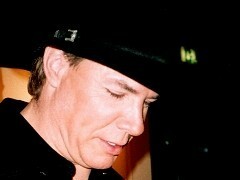 Michael Peterson was one of the most succesful newcomers in 1997-1998. His trademark smile, genius songwriting skills and great tunes such as "Drink, Swear, Steal And Lie", "From Here To Eternity" and "Too Good To Be True" soon earned him vast popularity. He also starred as himself in an award-winning episode of Walker, Texas Ranger. From time to time he also works as a lecturer at various sonwriting camps and teaches young songwriters. I was lucky to interview him at the German Country Award in 2004. 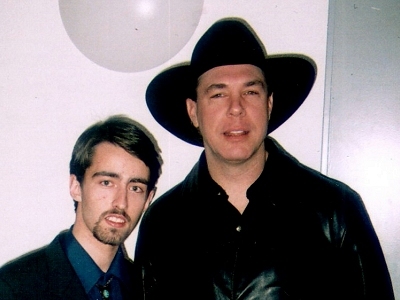 Czech audience knows you from Walker Texas Ranger. Was it your first TV experience? "It was my first experience on a show, a dramatic show like that. This is my first. I did a lot of different TV shows but first time Walker Texas Ranger." You starred there with Lila McCann. Have you worked with her since that time? "Oh golly! I suppose to work with her March 12th." You're known for your honest lyrics. Where do you find inspiration for writing songs? "Oh, the pain of life." (laugh) "That's real. We all feel, we all hurt, we all laugh and I try to write about those things." You did a duet with your buddy Travis Tritt and he used your song as the main song for his album. Do you stay in touch with him? "Yeah, I haven't seen Travis for about a year. But I did the record of that song on my new album. No More Looking Over My Shoulder, there will be the first single of my AGR/Universal release which is coming up March 2nd all over Europe. 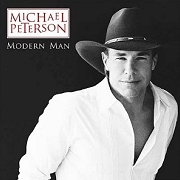 The new album here's called Modern Man." Do you get excited when you hear yourself on the radio? "Oh yeah, you know I grew up listening to the radio and you hear all the big stars and then you hear yourself on the radio, that's all fun experience." What video did you most enjoy filming? "From Here To Eternity, probably that." Will you ever come out with live album or DVD? "Yes, at some point. I don't know right now, probably in couple of years from now. I did a live CD in 1991 or 92. Uh gospel music, but nothing country." Who are some of your favorite country artists? "My favorite country artists? Keith Whitley, Willie Nelson, Merle Haggard." When you stopped your activities in 1999, did you think you left country music forever or did you hope for any come back? "I wasn't sure. I've been writing for the last couple of years. And I made a record for Sony in the last couple of years. But Sony decided not to release the album. So that album won't get hurt. But so I've been working behind the scenes." What is the hardest thing about staying in the business? "The hardest thing about staying in the business. It's tough to stay on top of the charts. You know, it's tough to stay with hit records. That's not easy. That's hard." What do you and your band do on the road to kill time between shows? "Read, work out, do phoners for the radio and a lot of travellin'." Do you plan any European tour in the future? "We will be playing in Gstaadt, Switzerland in September 10 and 11. And then we plan to do an European tour following that, so late September, early October. Maybe we'll come to the Czech Republic." That's great! Have you ever been there? "No no, I have to come." And do you know anything about the Czech Republic? "Not very much. I know there's been a lot of turmoil in last 50 year between World War II and the fall of communism. And there's been a lot of turmoil in your country, right? So how are things? Are things good there?" Yes, in May this year we'll enter the European Union. "OK, see you in the Czech Republic." (C) Petr Mecir 2004. All rights reserved.